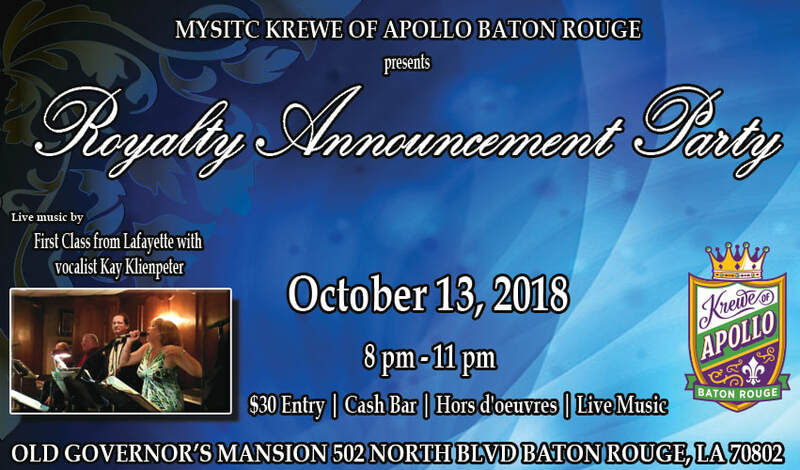 The Krewe of Apollo Baton Rouge cordially invites you to attend our royalty announcement party on Saturday October 13th. Tickets are $30 with live music provided by First Class from Lafayette featuring vocalist Kay Klienpeter. Enjoy our complimentary food and cash bar!